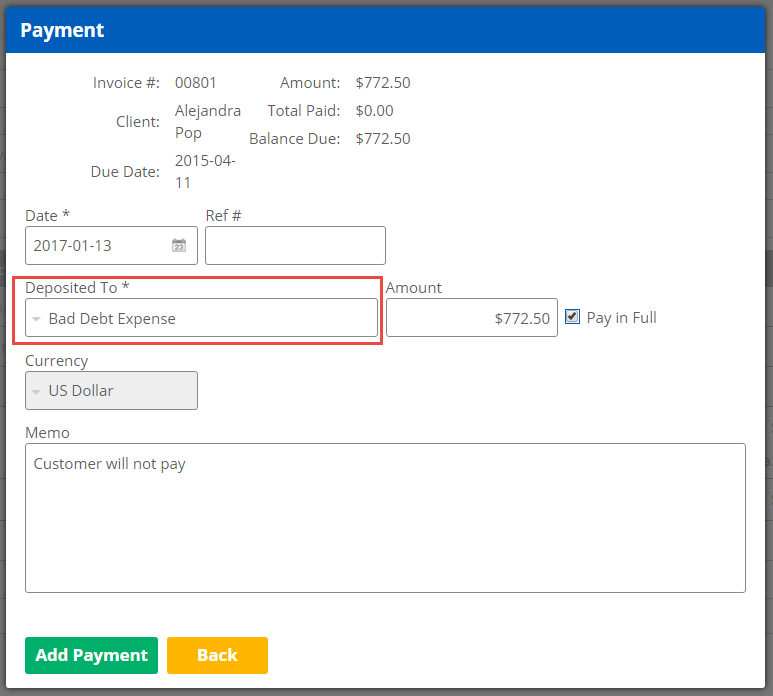 Learn how to write-off an invoice as bad debt. For the Deposited To choose the Bad Debt expense account. If you don't have the account, learn how to create an account by viewing the article Setting Up Accounts. If it was in a foreign currency, make sure to Exchange Payment. 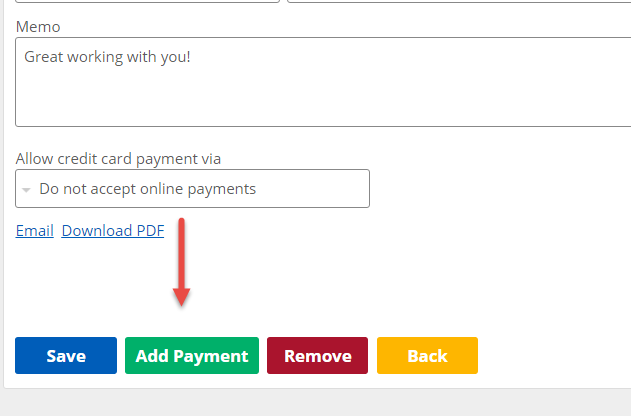 If so desired, enter a Memo explaining the reason for non-payment.